Furtive deals that go down in parking lots. Crazy price spikes that happen without warning. Giulio Graziani says it makes him feel a bit like a drug dealer, even though he's not buying anything illegal. It's part of his job digging up a steady supply of video games from the 1980s and 1990s for his store, VideoGamesNewYork, which specializes in everything from Atari and Gameboy to rare prototype NES cartridges. Old video games, once relegated to dusty bargain bins, have been cashing in on the nostalgia machine and gaining value just like baseball cards or stamp collections. Graziani, 50, has been in business since 2003, but says the market only recently began to spike. "Five years ago, I could drive through Texas and stop in little towns and buy everything," he says. "Now they're selling games out there for more than I do!" Even simple pieces, like The Legend of Zelda Ocarina of Time, which cost $12 in 2010, now go for $25. More coveted games, like Nintendo's Earthbound, can fetch hundreds of dollars, even thousands if they're in the original box. Prices skyrocketed almost overnight, says JJ Hendricks, whose site Video Games Price Charting tracks the going rate for vintage games. He estimates the market for retro games is now worth about $200 million annually. Hendricks once spent months negotiating with a mysterious source in Canada to buy one of only two Powerfest 94 prototypes known to exist. He ultimately made the deal -- for $12,000 in cash. It's the perfect storm. Just as kids who grew up in the '80s and '90s are reaching their thirties, the supply of vintage games is shrinking. "I think it's just a nostalgia for when they were younger," says David Kaelin, who runs the Classic Game Fest in Austin, Texas, and owns a chain of shops, Game Over Videogames. "It was a more innocent time in gaming. They were easier to pick up and play, less violent, more universally accessible than they are now." Nostalgia isn't the only thing driving prices higher. eBay auctions and dedicated YouTube channels have also fed the frenzy. "I'm kind of creating the problem as well," says Aaron Stapish. His YouYube channel, RetroLiberty, focuses almost exclusively on the retro video game hunt. It has 30,000 subscribers and regularly gets 15,000 to 20,000 views per episode, each one documenting Stapish and his crew meeting sellers in parking lots or digging through swap meets for cheap finds. But it's harder and harder to strike gold. If Stapish mentions he's looking for a game on his show, he notices a chain reaction: other people start hunting and owners quickly start charging more. Bryan Harwell, who owns Replay'd in Allston, Massachusetts, has had to evolve in order to survive. Instead of continually searching for cheap deals, his store mostly relies on customers to sell him their old stuff. (He also sells current games.) But his profit margins have shrunk. Three years ago, he says he made 50% to 60% profit on any retro games he sold. Now, it's as low as 5% to 10%. Luckily, for a casual retro gamer, there are some cheap solutions to get a quick dose of nostalgia. Nintendo's Virtual Console allows you to download classic titles to play on the Wii U or Nintendo 3DS. The Retron 5 console by Hyperkin sells for $159.99 and supports games for 10 systems, including NES, SNES, Famicom, SENES, Genesis and Game Boy. But, for some people, nothing beats the real thing. 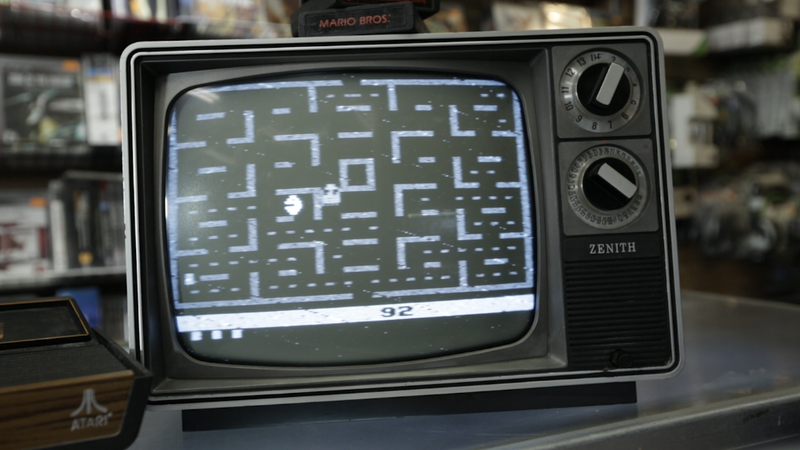 "For retro gamers, one of the most important things is reliving that experience you had when you were a kid," says Stapish, who plays retro games about 30 hours a week. "So you want to have the actual game, you want to actually put the game in the system and hold it with the original controller."